Putin’s bombers have dropped cluster bombs and firebombs across northern Syria. Putin and Assad have bombed every hospital they could find. Now Putin’s siege of Aleppo aims to drive 300,000 refugees out of the city and out of Syria. His plan is to make the refugee crisis even worse. It is time for the UK and Europe to say enough. Make Putin pay for every day he bombs Syrian towns and cities. 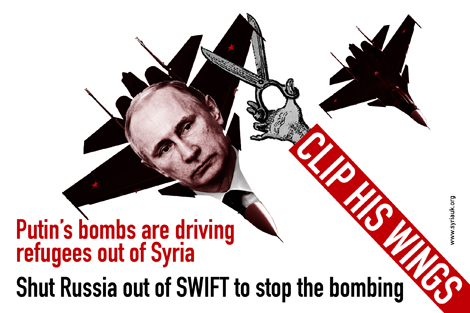 UK: join with EU allies to shut Russia out of the SWIFT* bank payment system NOW. Putin has already brought war to Ukraine, threatening eastern Europe. Now he is worsening the war on NATO’s southern border. Letting Putin get away with mass murder will cost the UK and Europe much more than the loss of business from shutting Russia out of SWIFT. And it will cost all of us our humanity if we stand by and do nothing. * SWIFT is the Belgium-based Society for Worldwide Interbank Financial Telecommunication system. SWIFT has to comply with EU decisions because the organization is incorporated under Belgian law. Read more here. Cross-posted from Syria Solidarity UK. David Cameron now has little time to right a shared legacy of failure on Syria. Reasons for the UK’s narrow vote to leave the EU are many. One is Syria: Both the Leave campaign and UKIP connected fears over immigration to the Syrian crisis. Assad’s war against Syria’s population has created the worst refugee crisis since the Second World War. In or out of the EU, we have a duty to care for refugees. We also need to understand that this refugee crisis is not caused by EU rules on free movement; it’s caused by the failure of world leaders, including Britain’s leaders, to stop Assad. Inaction has consequences. At every point when world leaders failed to act against Assad, the impact of the Syrian crisis on the world increased. The failure of British Government and Opposition leaders on the EU vote is in part a consequence of their failure on Syria, but this story doesn’t end with today’s result. Without action, Syria’s crisis will continue to impact on us all. Leaders failed to act in October 2011 when Syrians took to the streets calling for a no-fly zone. By the end of 2011 there were 8,000 Syrian refugees in the region. Leaders failed to act in 2012 when journalists Marie Colvin and Remi Ochlik were killed reporting from the horror of besieged Homs. By the end of 2012, there were nearly half a million Syrian refugees. Leaders failed to act in 2013 when the Assad regime massacred as many as 1,700 civilians in one morning with chemical weapons. That August, there were 1.8 million registered Syrian refugees. Also in 2013, the UK failed to act when the Free Syrian Army faced attacks by ISIS forces infiltrating from Iraq. Instead of strengthening the FSA to withstand this new threat, UK MPs denied moderate forces the means to defend themselves. By the end of 2013, there were 2.3 million registered Syrian refugees. Leaders failed to act in 2014 as the Assad regime ignored UN resolutions on barrel bombing, on torturing and besieging civilians. Diplomacy without military pressure only emboldened Assad to continue the slaughter. By the end of 2014, there were 3.7 million Syrian refugees. Leaders failed to act in 2015 as Russia joined Assad in bombing hospitals, humanitarian aid convoys, and rescue workers, and Syrians were denied any means to defend themselves. By the end of 2015, there were over 4.5 million Syrian refugees. Now the UK Government is failing to act as Assad breaks ceasefire agreements and breaks deadlines on letting aid into besieged communities. The UK has failed to deliver on airdrops. The UK has failed to apply serious pressure to stop Assad’s bombs. There are now 4.8 million Syrian refugees in the region. There are many millions more displaced inside Syria. Just over a million Syrians have applied for asylum in Europe, but that is a fraction of the total who have fled their homes. The refugee crisis is just one impact of Assad’s war on Syrians. Voting to leave the European Union won’t insulate Britain from further effects of Syria’s man-made disaster. This crisis can’t be contained and must be brought to an end, and it can only end with the end of Assad. Act now. Break the sieges. Stop the bombs. Stop the torture. Stop Assad. Some may think that a military component has no place in an ethical response to Syria. We completely disagree. It is not ethical to wish away the barrel bombs from the Syrian government when you have the capacity to stop them. On Jo Cox’s birthday this Wednesday, show the world that we have far #moreincommon with each other than that which divides us. Across the world, we will gather together to celebrate Jo’s life, her warmth, love, energy, passion, flair, Yorkshire heritage, and her belief in the humanity of every person in every place, from Batley and Spen to Aleppo and Darayya. 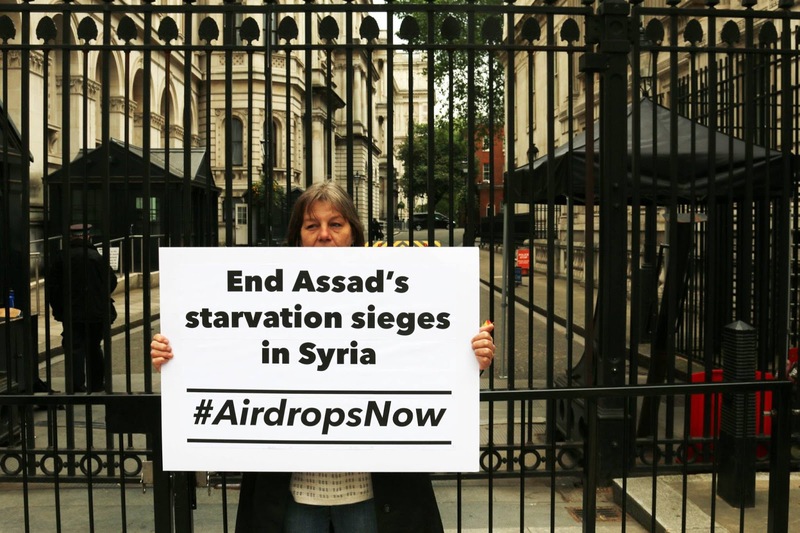 The UK Government, along with other members of the International Syria Support Group, has told the World Food Programme to begin air drops wherever they are needed from 1st June—but the World Food Programme says it will only deliver if the Assad regime gives permission. The RAF has the resources needed to deliver aid if the World Food Programme won’t. Call on the Government to deliver on the promise and start UK air drops from 1st June. If you live in the UK, this app can help you write an email to your MP. 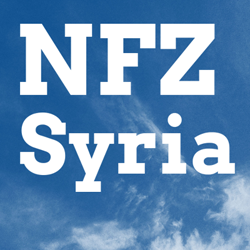 Please ask your MP to support UK humanitarian air drops of food and medical aid to Syria.